Short Putts for the purpose of this site are putts under 6 feet. They are the putts that all golfers think they "should" make, but can somehow be the most difficult when the pressure is on. On the PGA tour, 92% of putts are made at 3 feet, while at 6 feet it drops to only 50%. This tells us that making putts 6 feet and in is critical to one's score as they are very likely to two putt when outside of that range. Creating True Roll On Your Putts Learn how putter loft, effective loft and rise angle affect the roll and spin on your putts. 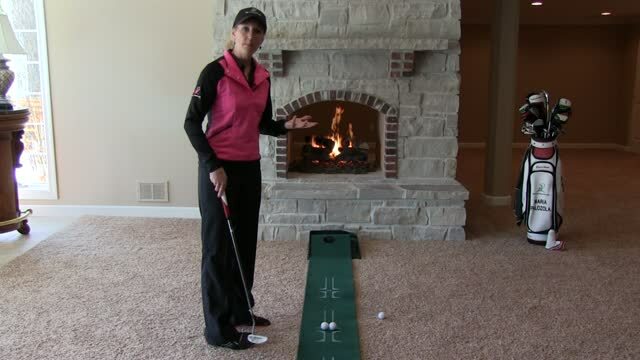 Develop a Solid Pre Round Putting Routine Learn how to properly warm up your body and your brain on the practice green before you start your round. If you are missing putts to the right chances are you are not getting the face back to square. Try over rotating the face on the backswing and learning to rotate it back to square. This will force you to feel the rotation of your forearms and wrists instead of being overly stiff and dead-handed. If you tend to push putts to the right try a stronger grip with your lead hand to help rotate the face back to square. For a right handed player this would mean turning your left hand more to the right. Ideally we want to have our palms facing each other in a neutral grip position. If however you are having difficulty getting the face back to square, a slight change by rotating your lead hand can be a big help. When practicing your putting indoors, putt to a paper cup instead of using glass. The lightness of the cup will give you a better read on your putts. If you hit the putt dead center, nothing will happen. If you are slightly off however, the cup will move left or right. 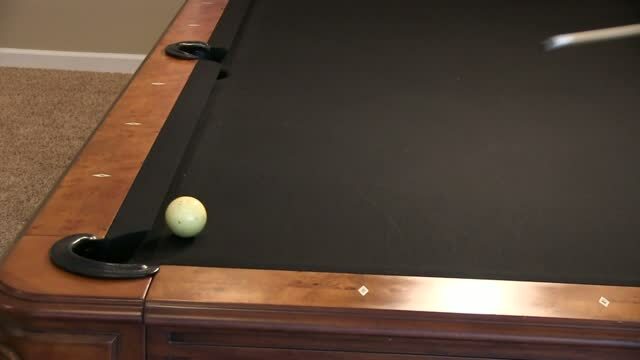 This forces dead center hits. Hi Maria! 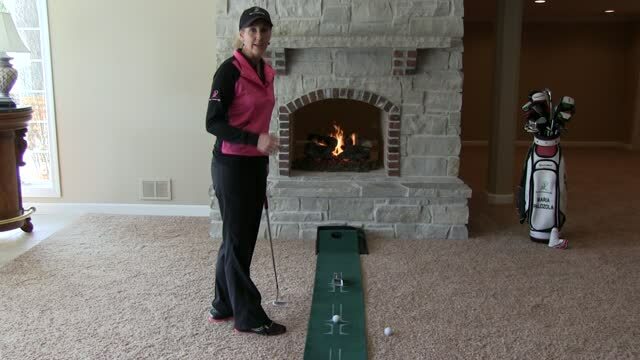 Do you have any advice to improving my 5 foot putt under pressure? Thanks! How do I approach a severely breaking uphill or downhill 2-3 foot putt? I can get the ball close to hole on long putts, but seem to miss the shorter ones......keep trying to change stance, grip, etc, but nothing seems to work. Can you offer a suggestion? Whenever I putt I have the tedency to move the putter with my hands and as a result the ball goes either left or right. Can you give me some suggestions? I tend to 'pull' all putts and am right handed. Can you help me fix this? 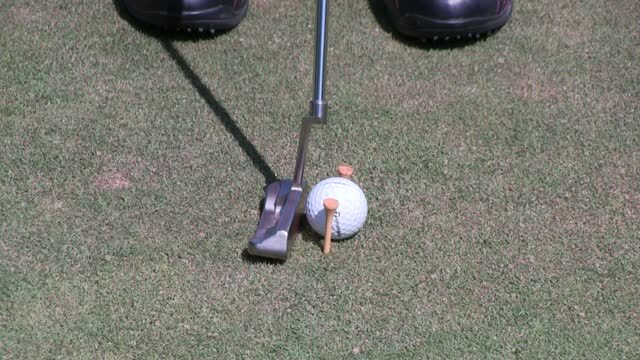 What are the techniques of putting. What are the fundamentals? 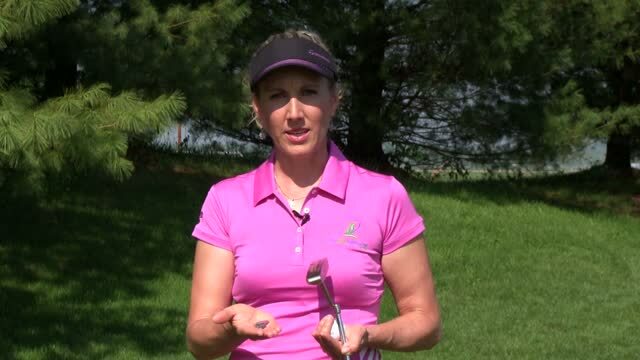 What should you work on first - driving or your short game? What drills can I use to help make everything within 5ft?